Tilly Nursery Collection Since the launch of our stunning nursery furniture collection, we have been bombarded with interest and queries. So we thought a list of your frequently asked questions might be useful for those all important finer details... Why are the Tilly cot beds so expensive? A lot of effort goes into making a well made cot bed, ours are carved from mahogany. There is also considerable time and expense spent ensuring they are produced to a very high specification in order to pass strict safety standards. Please therefore be assured that these ..
Get sleepover ready with a child’s double truckle bed! Archie Fairweather Children's Double Bed The idea of children having a double bed all to themselves certainly isn't a new one. However, it hasn’t been such a popular concept until late. More and more parents are now choosing to go down this route for many reasons, including: Maximise bed space in the home - a child’s double bed can always be used by visiting guests if needs be, leaving your little one to camp out on that blow up mattress instead! 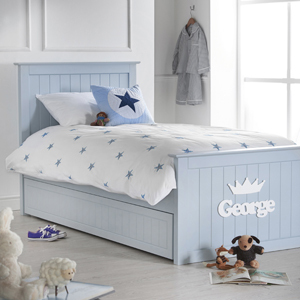 Save money - once your child has a gorgeous double bed, you may never need to splash out again! 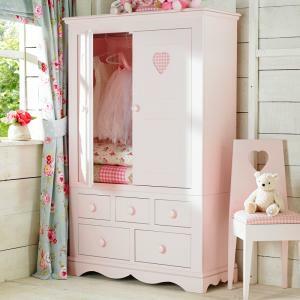 Story tim..
Daisy Brambles Combination Wardrobe Aside from a collection of gorgeous beds, Little Lucy Willow produces a comprehensive range of matching children's furniture too. We know that all girls and boys need organisation and consistency in their lives, that’s why our children's furniture isn’t just stunning, it’s also practical and built to last. Each piece has been carefully designed in-house with durability and longevity in mind. Our focus has always been to only make products that we'd be delighted for our own children to use and enjoy. Finished in hardwearing subtle pa.. Win £50 worth of our Back to School Accessories! To celebrate the kids going back to school next month we are giving one of you lucky customers a chance to WIN £50 to spend on Back to School Accessories! 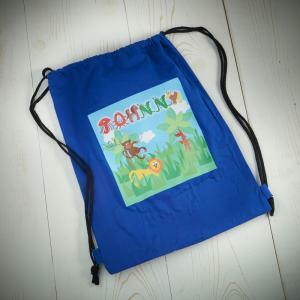 We have a great selection of rucksacks, satchels, lunch bags, PE Kits and lots of stationary! The best part is most of our accessories are personalised so there will be no mixing them up in school! To find out how to enter scroll down. To enter all you have to do is comment below who you are buying your Back to School Gifts for and why you think they deserve them. The winner will be announced on our facebook and twitter at.. I don’t know about you, but when school is out, so are the term time sleeping habits of my children! Instead of nice early nights and bright early mornings, we are currently faced with late nights and errm let’s just say interesting early mornings. If only they would lie in for an hour or two! With tired minds come mood swings - which thankfully have been conspicuous by their absence in our house - but I know they’re on their way! So what to do now? Carry on with gay abandon or rein it in and restore some routine? 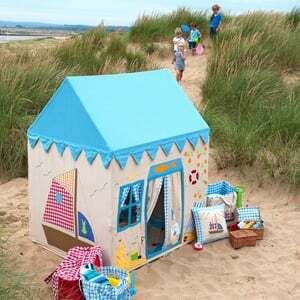 For those attending holiday clubs and nurseries, sleeping pat..
Playhouses and pavilions make the perfect summer hideaway! The summer holidays are finally here so let’s hope the sunshine puts in a lengthy appearance too! No more school runs - or daily ‘dodge the traffic warden’. Countless lazy lie ins (for the children at least…) and the prospect of a holiday in the sun if you’re lucky. Sounds good doesn’t it? We all need to re-charge our batteries now and again and even though work may carry on when studying stops, at least the stress is a little less when school is out for the summer. 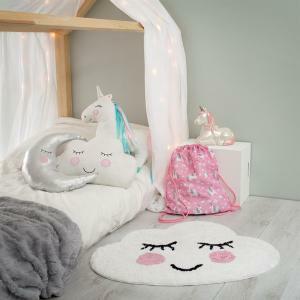 We’re sure that you have lots of fabulous activities and day trips lined up but for those of you who don’t, we’ve got ju..
Reorganise, re-accessorise and revitalise your children's bedrooms! The end of term is almost here marking the close of yet another chapter in many of our lives. It's a giddy time for everyone not least because we know the holidays are just around the corner! For those of you who shed a tear at the drop of a hat however, you might want to stock up on tissues... It could be that you’re saying goodbye to nursery or bidding farewell to primary school. It might be the transition from infants to juniors that is making you weepy. Whatever it is that sets you off, keep those Kleenex to hand and remember that we’re all in this together! To take your mi..
At Little Lucy Willow, we like to look after our customers and strive to provide the best service possible. We don’t sell anything we wouldn’t be happy for our own children to use and it’s safe to say, we don’t add pieces to our exclusive collections lightly. That's why we are delighted to finally launch the stunning Tilly Nursery Furniture Collection, as it marks a new and exciting direction for our company. 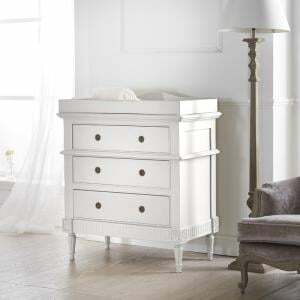 Tilly Nursery Collection Being able to offer nursery furniture which is luxurious yet affordable, was the logical next step to completing the existing Little .. 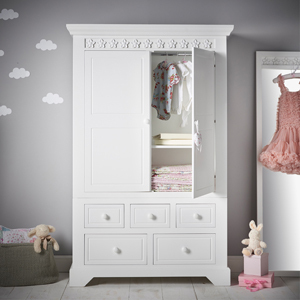 The Little Lucy Willow Nursery Furniture Collection has been launched! We are delighted to announce the launch of our very first, exclusive nursery furniture collection. 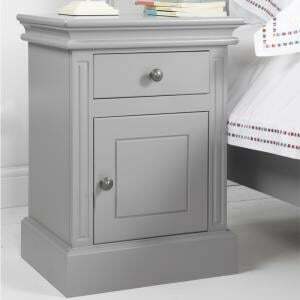 The carved mahogany French-style Tilly range exudes elegance, style and delicate charm. In other words, it’s gorgeous! 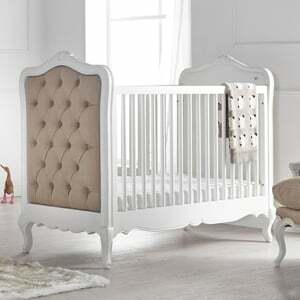 Adding nursery furniture to our range has been a natural step for Little Lucy Willow as we strive to provide a complete range of luxurious yet affordable children’s furniture to suit babies, toddlers and teens. The exquisite Tilly cot bed, complete with pocket sprung mattress, is perfect for keeping your little one safe, warm and in sumptuou.. 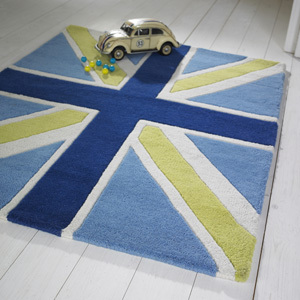 Win a blue Union Jack Rug worth £79 this July! As our last competition for this rug was so well recieved last time we are giving you another chance to win one of our Blue Union Jack Rugs! All you have to do is comment below with who the rug is for and why they deserve to win. We will announce the winner on our twitter and facebook at the end of July and will post it out straight away. So remember to follow and like us on our social media as we will not have contact details to get in touch with the winner. Good luck! .. The recent heatwave has left many of us flustered, sleepless and ever so slightly out of our minds (or is that just me?). We’ve rattled through box after box of ice lollies, had water fights galore and been drinking Pimms from the comfort of the paddling pool (definitely just me! ), but we’re still baking… Such heat is lovely in very small doses but when bedtime comes around it’s not so good. The children are restless, uncomfortable and find it hard to get to sleep. So what can you do to ease them into a lasting slumber? How to keep your child’s bedroom ..
A wild imagination and adventurous spirit are two things many children possess by the bucketload. So for all those budding princesses and pirates out there, what better way to end the day than by climbing a ladder to that imaginary fortress or ship’s lookout? Or in other words...to bed! At Little Lucy Willow we understand the importance of play. And we know how crucial sleep and study are too. So we created our children’s high sleepers to allow room for all three - within the footprint of a single bed! 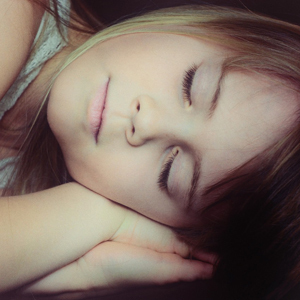 Our children’s high sleepers are first and foremost brilliant space.. There are lots of reasons why you might want to change your child’s bedroom furniture. For many, it usually boils down to one simple fact. Growing up. Little ones change so fast that before you know it, your tiny teeny toddler is suddenly a cheeky teen! Somewhere between these two extremes your child will change their hobbies, their fashion sense and their favourite colours, more times than you’ve changed your socks! It seems like only yesterday when you assembled that cute toddler bed and matching wardrobe - but now they are both defunct. So what to do next? At Litt.. Crisp and clean children’s beds after a mad and muddy day out...Heaven! There’s nothing quite like tucking your child into a beautiful bed with pristine bedding after a hectic day of fun. It’s one of life’s little pleasures. Throw in a lovely bubble bath to wash those grubby hands and feet and your sense of contentment soars. Now, imagine all that after being stranded miles from home with a car full of hot and bothered children and a two hour wait for roadside assistance. Such was the end of my ‘big half term day out’. As you can probably guess, I adored finally seeing the children all happy and tucked up in their beds, b..